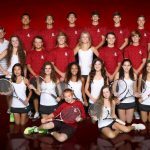 Thursday, October 1, 2015 7:00 PM Lovejoy High School AWAY 14 Prosper High School HOME 5 Meet Recap The Junior Varsity Leopard Tennis Team remains undefeated by taking down Prosper 14-5! 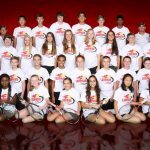 Thursday, October 1, 2015 7:00 PM Lovejoy High School AWAY 14 Prosper High School HOME 5 Meet Recap The Junior Varsity Leopard Tennis Team stays undefeated in district play by taking down Prosper 14-5! Tuesday, September 29, 2015 4:15 PM Prosper High School AWAY 3 Lovejoy High School HOME 16 Meet Recap Lovejoy Tennis Team stays undefeated in district play defeating Prosper 16-3! 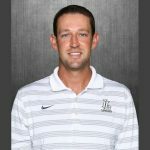 Tuesday, September 22, 2015 4:15 PM Lovejoy High School AWAY 19 Wylie East High School HOME 0 Meet Recap The Leopard Tennis Team continued their undefeated streak in district with a 19- 0 win over Wylie East! Come out and support your Leopard tennis team as we battle against our rivals in this important district match!